This spacious home built by Clyde Hoeldtke Classic Homes offers over 1500 Sq. Ft. of heated living space not counting the 250 Sq. Ft. enclosed Lanai turned into a Florida Room making this home the perfect place to relax. This single-story Ranch is in the Beacon Square community & you will love the Split Bedroom Floorplan, 2 separate living areas with formal living/Dining room combo in front & Kitchen/ Family room in back. Some of the homes features include ample sized bedrooms, an Oversized 2 car garage, Hurricane Shutters, Walk-in Shower & Closet in Master Bath, Automatic irrigation system & much more. No HOA Fees, No CDD so low property tax bill & No deferred maintenance. This well built, well maintained, Move-in Ready home has had a New A/C Heat Pump installed in 2017, new 20-year conventional shingled roof installed in 2005, & hot water heater replaced in 2012. The new Homeowner should consider becoming a member of the Beacon Square Community Pool and Civic Association, complete with a Jr. Size Olympic pool, Clubhouse, & Shuffle Board Courts, this recreation center guarantees to offer activities for all ages! As a member you can get involved with Billiard’s Night, Game Night, Music, Tripoli, Quilting, Tai Chi, Poker, Community Dinners & so much more! Close to plenty of shopping, restaurants & only 4 miles to the Famous Sponge Docks, 5 miles to Robert K. Rees Memorial Park & Beach & only 6 miles to Howard Park Beach on the Gulf of Mexico! Call and make an appointment to see this Home Today. When it comes to buying and selling real estate it takes a strong commitment. Serving in the Merchant Marines and holding a U.S.C.G Captain’s license, deeply qualifies me to help you navigate one of life’s biggest investments. I would like to discuss with you how my 7 year commitment to the Real Estate Industry and the Tampa market will be well worth your consideration. 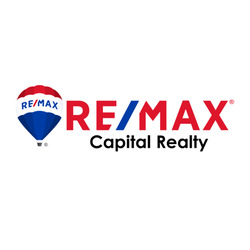 I am a Licensed Real Estate Professional with RE/MAX Capital. I chose this firm over all others because they are committed to providing me with tools, resources and a compelling culture, coupled with my expertise, enable me to bring the highest caliber of buyers and sellers together. I personally specialize in asking good questions, customizing a marketing strategy and negotiation to ensure my Sellers receive the best opportunity for the highest net, most protection with the least amount of stress. Since most people in our market own their homes for between 5-7 years, I would imagine in the near future you will have a need to sell or desire to buy. I am strongly committed to being the best at what I do which means doing the best for you. When your time to sell is near, I commit to providing you with the most current information and a winning spirit to take you from where you are to where you want to be.